Volvo has added the 2.0-litre 247bhp four-cylinder turbocharged T5 petrol across the S90 saloon, V90 estate and XC90 SUV model ranges as it continues to shift away from diesel. Teamed with an eight-speed automatic transmission and bringing 258lb.ft of torque and both front and all-wheel-drive formats, the unit belongs to the range of Drive-E engines designed and built by Volvo. In both the S90 and V90, the new T5 joins the existing T4 petrol, D4 and D5 PowerPulse diesels and sits below the T8 Twin Engine plug-in hybrid, making it the most powerful non-hybrid unit in the range. It’s available in all model grades apart from the entry-level Momentum and the Momentum Pro, and offers combined cycle fuel economy from 42.8mpg and CO2 emissions from 154g/km for the S90 with a 31% BiK rate. For the V90, efficiency figures start from 41.5mpg and 157g/km with a 32% BiK rate. 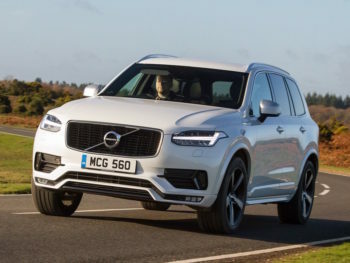 It’s also offered in the V90 Cross Country all-road estate model, sitting under the T6 and bringing efficiency figures from 38.2mpg and 172g/km with all-wheel drive and 35% BiK. In the XC90 SUV, the new unit joins the D5 and marks the new entry-level unit below the T6 and the T8 Twin Engine plug-in hybrid. It’s availably solely with all-wheel drive and brings official combined cycle figures from 35.8mpg and 184g/km with a BiK rate of 37%. The addition of the T5 comes three months after Volvo Cars said it would begin phasing out diesel engines this year, with all new launches offering only electric or progressively more hybridised petrol engines. Prices start from £41,120 OTR for the S90 T5 R-Design and £43,120 for the V90 R-Design. The V90 Cross Country starts from £44,685 while the XC90 T5 line-up is priced from £50,435.